Easy to pitch and plenty of living space. I love the many windows, this adds to the already spacious feel and if it is raining you can be tucked up inside but with plenty of windows to look out of and watch the rain! Lol. It has some convenient pockets on the outer bedroom wall. We put all our toiletry bags, maps, torches etc but I am careful not to overload it. We have now used it 3 times and each trip has had heavy rain and winds. So far so good, no issues. We did buy the carpet. This was at an extra discount for the carpet as we had to go back to Go outdoors and swap a bedroom compartment. Luckily we passed it on the way to camping so it wasn't an extra expense. Go Outdoors were great though. The carpet, at the usual 'discounted' price is a tad expensive however it is great to have the carpet. If you can afford it I would recommend it. The small bedroom is better for one than 2 overgrown teenagers. That said they never complained but bags had to be outside the bedroom. This year we bought the porch, extra comforts. 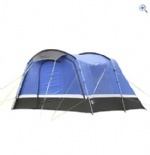 Got a porch because it was a superb price in go outdoors. Easy to pitch and fits well, makes a great space for cooking and storing dirty wellies. Matches the tent well, only down side is the weight. Would recommend to others if you need more space. It's spacious and means the inside isn't full of clutter! 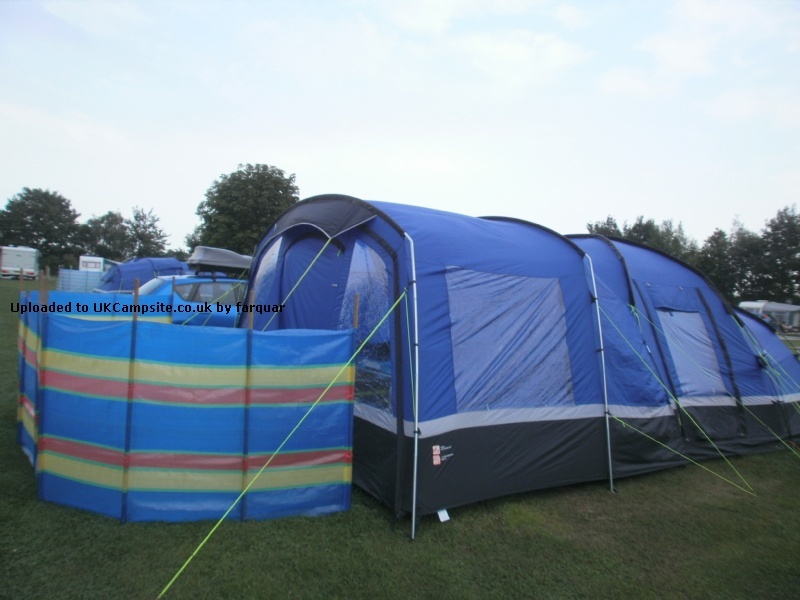 Our Voyager 6 porch was the display model from the store as they had no new ones left and weren't getting any more in. It had already been well weathered when we got it and was slightly faded in colour, but still ok. 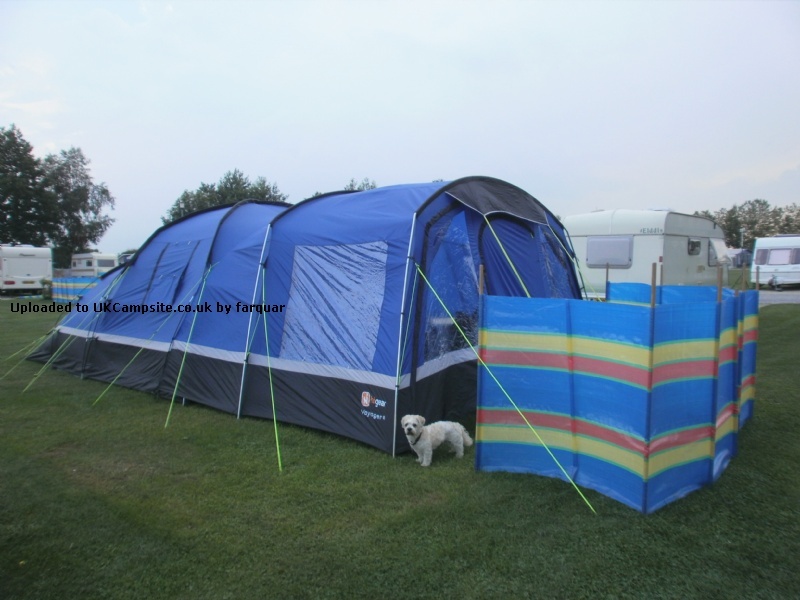 It is quite tricky to put up - especially in windy conditions - but once up it gives so much more space - you can leave your wet and muddy wellies in there! It does have quite big gaps around the bottom as I think some people have mentioned. This hasn't been a problem for us yet but we are still quite new to all this! The porch is a great addition to the tent, we can now open the front door when raining without water coming in,it makes the tent a lot tidier as all the cooking equipment can stay in the porch, it,s nice to be able to completely remove the front panel during the day and refit again at night to close the tent up. 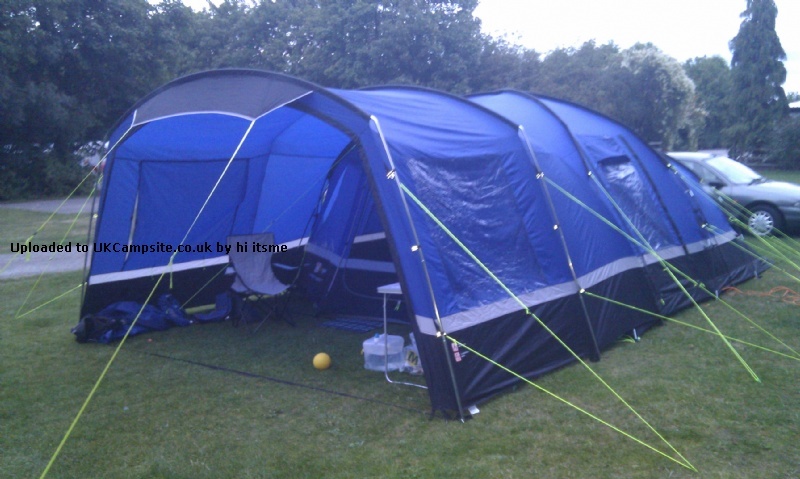 A few people have commented about the poor fit of the porch,(big gaps down the sides ,around the bottom,and struggling to get the pins into the bottom of the poles because the material is so tight) if you look at the above pictures the gaps at the sides of the tent are only about an inch wide over a small area.When we put ours up for the first time I thought I was going to rip the porch material trying to get the pins into the bottom of the poles,after finally getting them in I couldn't tighten up the tensioning straps at the bottom because it had pulled the material so tight it looked like it was going to pull the stitching apart,due to this it left a gap of around 4' along bottom of the tensioning side of the porch,and the porch not sitting central on the poles. I'm not recommending that anybody else does this because it may void your warranty also the material may stretch after being used a couple of times but I have taken the plastic inserts out of the bottom of the poles and then sawed half an inch off the bottom of each pole and then reinstalled the inserts. The pins now go into the bottom of the poles much easier when erecting the porch,it sits central on the poles,the gaps at the bottom are equal on both sides about an inch due to being able to tighten up the adjusting straps,and the stitching no longer looks like its being pulled apart. This porch was very hard to get hold of, due to the fact 'go outdoors' were having trouble receiving stock from the manufacturers Eventually we struck lucky and managed to buy one. 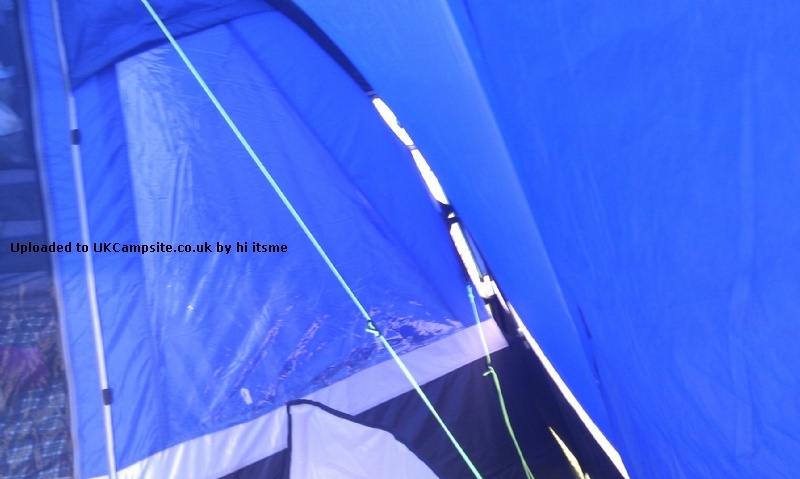 It's been extremely useful on our past camping trip, in fact a real life saver! It gives you plenty of extra space to store your things or use as an extra living space (which we certainly did!) We found it easy to erect but found it slightly tight when you come to put the pins in to hold the poles in place. A great purchase over all! 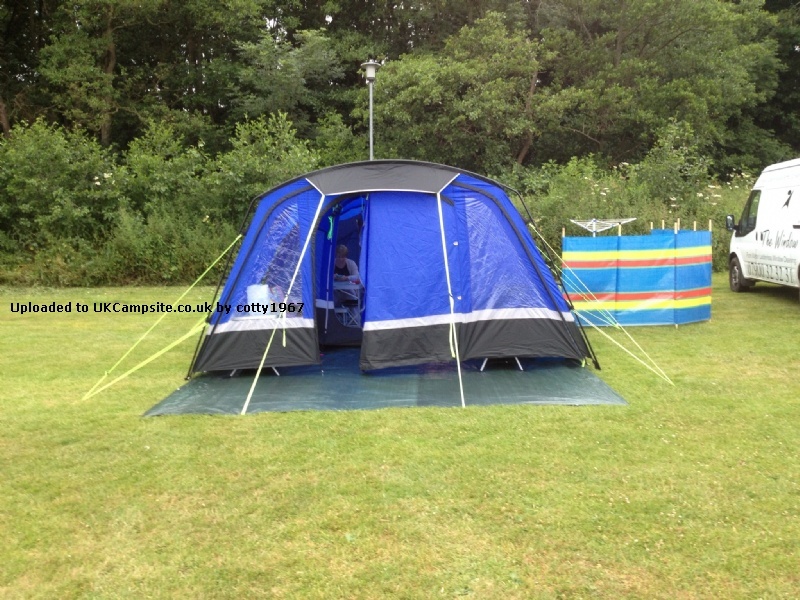 Add your review of the Voyager 6 Porch! This front porch for the Hi Gear Voyager 6 tent is perfect if you need extra space, a sun canopy or just somewhere to store your bikes and muddy gear after a long day in the hills. The large windows let in lots of light and the whole front side can be unzipped and removed to give a fantastic feeling of the outdoors whilst still being under cover, great for cooking and eating. 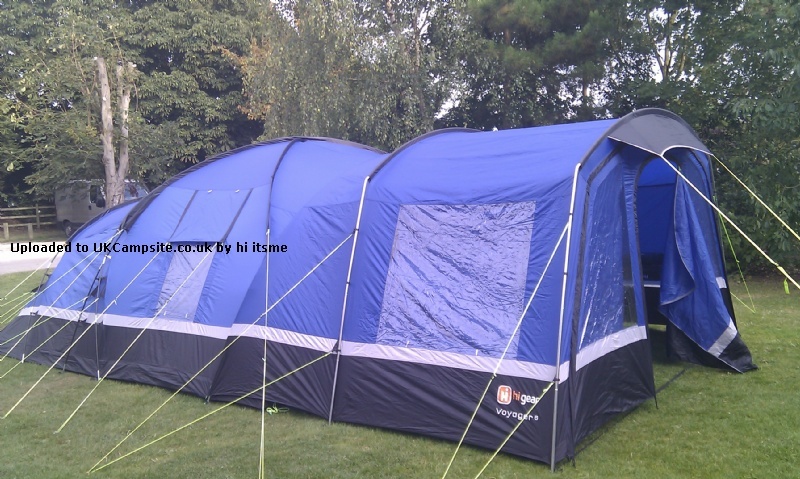 An easy and cost effective way to extend the use of your tent and make the most of the outdoors this summer!